Great Golf. Great Rates. Great People. Join us at StoneTree Golf Club on Feb. 7, 2018 at 12:00PM. $45 includes green fees, cart and water bottles. A non-hosted dinner may or may not be available afterwards, but we encourage members to socialize afterwards nonetheless. Join us at StoneTree Golf Club on Jan. 17, 2018 at 12:00PM. $45 includes green fees, cart, water bottles and a post round drink in the Clubhouse. There will be no dinner this week due remodeling work being done in the Clubhouse. 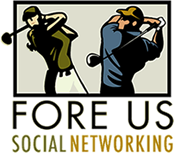 Join us at StoneTree Golf Club on Jan. 3, 2018 at 12:00PM. For an additional $10, enjoy a hot buffet dinner in the Stonetree Clubhouse.